These Monitor Stands Include a Special Holder for the a Camera! 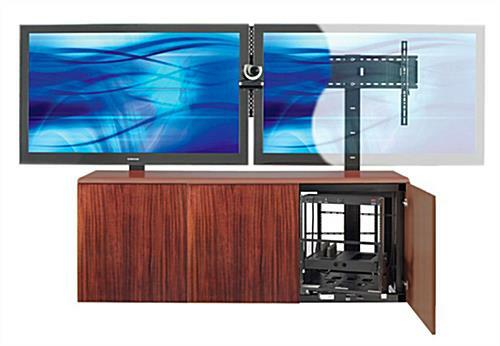 These LCD Screen Holders Are Plasma Bracket Displays for Video Conferencing and Business Rooms! These Monitor Stands Are On Sale! Adjustable camera shelf makes re-positioning the recording device very easy. Six outlet surge protector included to power the various electronics. 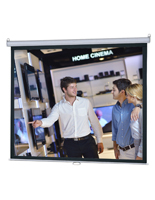 VESA bracketing has a mounting pattern for 200mm x 200mm to 800mm x 600mm. 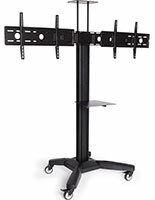 These monitor stands, sometimes called plasma bracket displays, have the sleek black steel rack for holding the screens. The LCD screen holders are VESA compliant to best support most television screens, These monitor stands allow users to present either up to a 103" television or two televisions up to 80", in size. 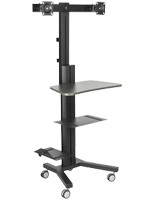 The plasma bracket displays include an adjustable camera tray for video conferencing. These monitor stands with camera shelving have three bays in the cabinet to accommodate lots of accessories. 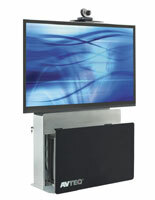 The LCD screen holders include rack mount shelving to best hold the various electronics. These monitor stands have a mahogany finish that is aesthetically pleasing. The solid MDF wood construction is very durable, so it will withstand frequent use. 69.0" x 23.0" x 22.0"
Please add 21 business day(s) when determining the lead time.